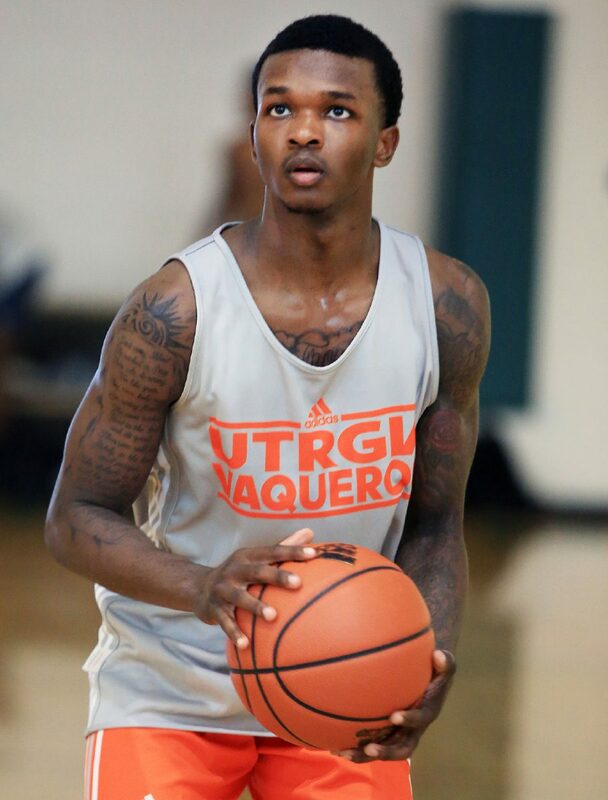 EDINBURG — Greg Bowie said he received offers from schools in Conference USA and the Atlantic 10 during his recruiting process, but he decided to head to UTRGV. Throughout his career, Bowie has liked to run and play at a high tempo, and UTRGV gave him the opportunity to do just that. 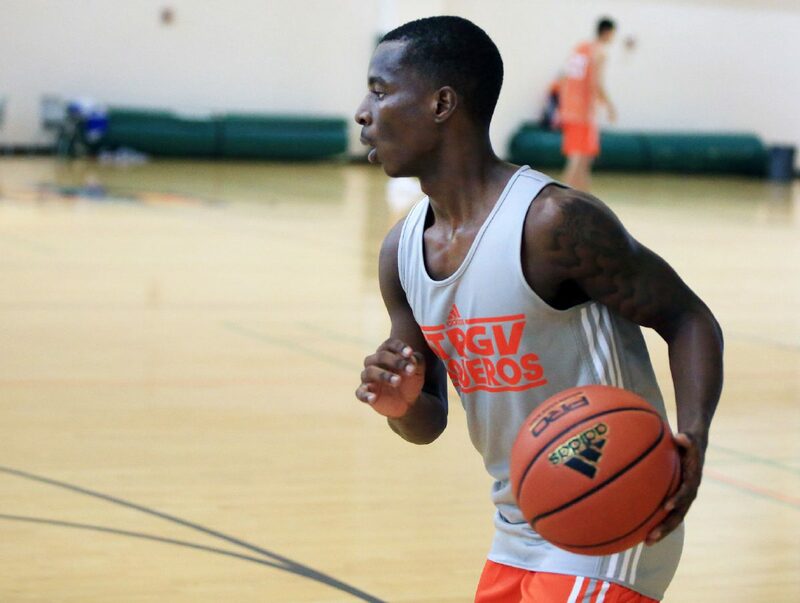 Bowie’s experience pressing and getting up and down the floor on offense was part of what grabbed UTRGV coach Lew Hill’s interest. In his second year at the helm of the Vaqueros, Hill is doubling down on his commitment to build a roster that can play fast and attack for a full 40 minutes. His returning players have already done it for a year, and freshman guard signees Bowie and Javon Levi come to Edinburg knowing how to push the pace. As a result, Hill’s standards and expectations were at an all-time high as UTRGV opened practice Monday at the school’s on-campus recreation center. Bowie and Levi seem ready to answer the call, with Hill saying both showed well in their first workout with the full team. Levi, who played at Kileen Shoemaker, said the biggest difference from a high school practice is the speed at which the team moves through drills. On offense, he has to adjust to an approach that relies more on constant movement and less on half-court sets. But on the defensive end, he said he already feels at home. Hill’s mantra at UTRGV has always been “attack with discipline.” Bowie said he was used to the attacking, but the discipline part is more of an adjustment. Levi, described by Hill as more of a true point guard, said he felt like he held his own on the first day of practice. He said his best attributes are his defense and toughness. Bowie said Levi is already “like my brother.” The two are roommates and have pushed each other mentally and physically, be it in practice or open gyms. Both acknowledge that they are competing for playing time in the guard rotation this year, but the greater focus is on working together in hopes of pushing UTRGV forward for years to come. Hill said he expects Bowie and Levi to both get minutes this year, though a precise role is impossible to define on Day 1 of practice. Both players know that the transfer of Antonio Green, who averaged 14.6 points and 30.4 minutes per game last year as a sophomore, opens up the opportunity for more playing time. Bowie said Green’s move came as a “big surprise,” adding that Green was one of the major reasons he chose UTRGV. He admired Green’s aggressive shooting and relentless work ethic, but he also knows that Green’s absence gives him a greater chance to contribute. Levi said the departure of one of the Vaqueros’ most potent and creative scorers puts more importance on his ability to facilitate open looks for his teammates. As far as playing time is concerned, Levi knows his role will still have to be earned during the preseason.